Welcome to Day 50 of 100 Days of Disney here on The Purple Pumpkin Blog! Be sure to check out all of the other posts in this series, and if you would like to share your own Disney blog posts or pictures, make sure you check out the #100DaysOfDisney Link Party! I’ve decided to share the planning tools I use when organising our Walt Disney World vacation(s); I’m not a pro planner, I’ve just done this three times now, and already planning the fourth and fifth visits (yes, I’m an Orlando and WDW loon – but it’s my happy place!!) so I like to think I know what I’m doing!! This really is a short post – just so I can get this up here, and I WILL expand on it, so please do come and check back! 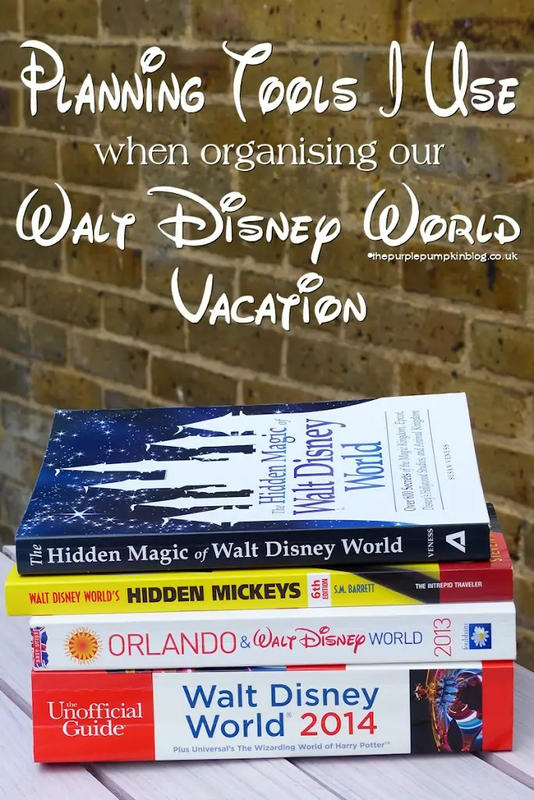 Here are the things I use when planning our holidays to Orlando, Florida…they include books, blogs, forums and websites! Orlando Informer – because we do, do other things in Florida besides WDW!! and of course, my own set of planning resources I’ve created over the years! Day 50 of #100DaysOfDisney is done – 50 to go!